The Gorkha Jan Mukti Morcha (GJMM) has said it is all set to welcome chief minister Mamata Banerjee to the Hills as she makes her first trip to Kalimpong after it was declared a separate district on February 2017. The party on Thursday said it is expecting over one lakh supporters to turn out on 28 May from Sevoke (near Siliguri) to Delo in Kalimpong where the CM is scheduled to stay. 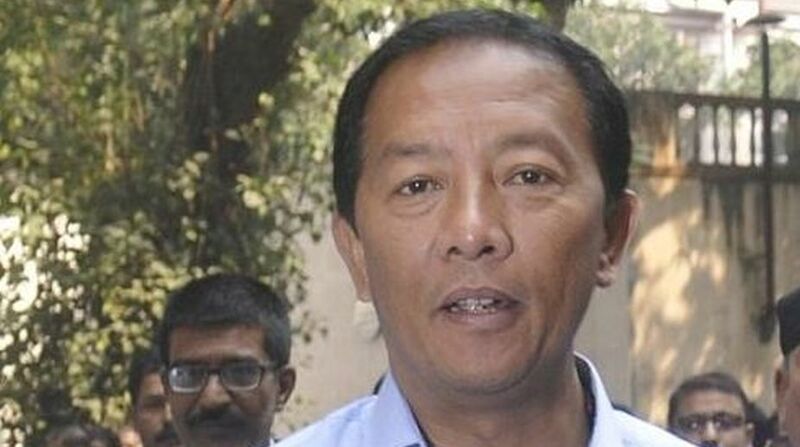 “The Bengal chief minister will be arriving in Kalimpong as announced earlier on the 28th of this month, and preparations are on from both the Gorkhland Territorial Administration and our party to welcome her from Sevoke to Delo. We expect more than one lakh party supporters from Kalimpong and the highway area to welcome her that day,” Morcha leader Binoy Tamang said. According to Mr Tamang, who is also the chairman of the GTA Board of administrators, Miss Banerjee will be attending a meeting of all development boards in Kalimpong on 29 May, followed by a high-level administrative meeting of the GTA on the 30th. “We have already started putting up welcome banners at different places with welcome gates also being constructed. Apart from that, people will stand on the roads with flags that day. People from the GTA will also be present to welcome her that day,” Mr Tamang said. He said this on the sidelines of a programme where he inaugurated the office of the Morcha youth front at Chowk Bazaar here. At the programme, the Morcha claimed that about 50 supporters of the Gorkha National Liberation Front (GNLF) joined their party from the Bloomfield Rishiat constituency.